Que: I was born at Baden Powell Park, Samford, behind the Providore. Interviewer: The Providore, what’s that? 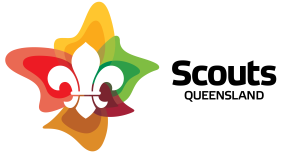 Que: The Providore is a Training Facility within Baden Powell Park, Samford. Most of the time it is used as the base for Scout and Venturer Basic and Advanced Training Courses. Interviewer: What’s behind the Providore, and how did you end up being born there? Que: Behind the Providore is a path called the Beaver Trail that follows the creek, and leads to the dam. The bush around the trail is quite dense, and I first appeared in Mum’s pouch somewhere in this bushy area where Mum lived. Interviewer: How did you end you end up being the Training Team Wood Badge Centenary Mascot? Que: One evening, at a Branch Scout Section Skills (Triple S) camp, about 3 years ago, I was on my Mum’s back, sauntering past lots of leaders who were meeting at the Providore to be briefed about good and bad camping standards. They stared at us, and started to take lots of photos. In the excitement Mum scampered up a tree near the old Joey Campfire Circle, and I fell off Mum’s back. Mum disappeared down the Beaver Trail, and a Leader Trainer rescued me, and took me to the Charles S Snow Centre where I have been living. Whilst at the Charles S Snow Centre, I watched a lot of courses being run and I heard lots of stories about Queensland. 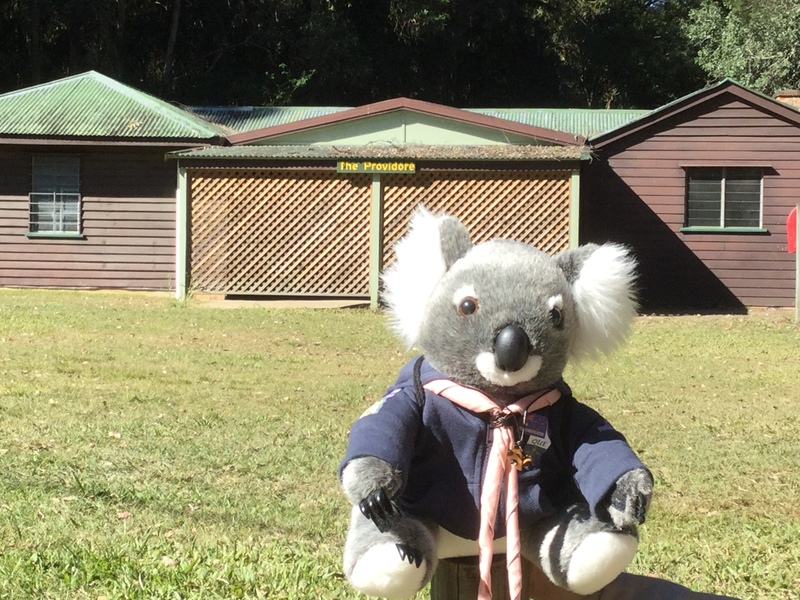 I also regularly chatted with “Touche”, a Wombat who regularly “runs” courses, and he suggested that I might apply for the position of “Wood Badge Centenary Mascot” and hitch a ride with some leaders, and go on a road trip to see Queensland and meet as many leaders as possible. This was brought up at a Queensland Branch Training Team Meeting in September 2018, and I got appointed.